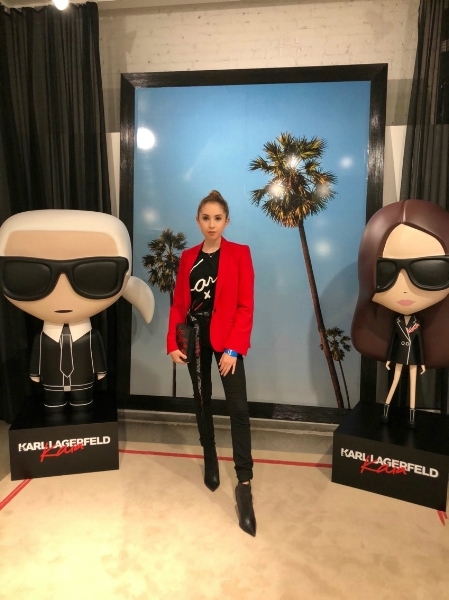 Yesterday, I had the opportunity to attend an exclusive press preview for the Karl Lagerfeld x Kaia Collection, hosted by Revolve. After sitting down and watching so many shows during the week, walking around and browsing the collection with Kaia herself was a breath of fresh air. 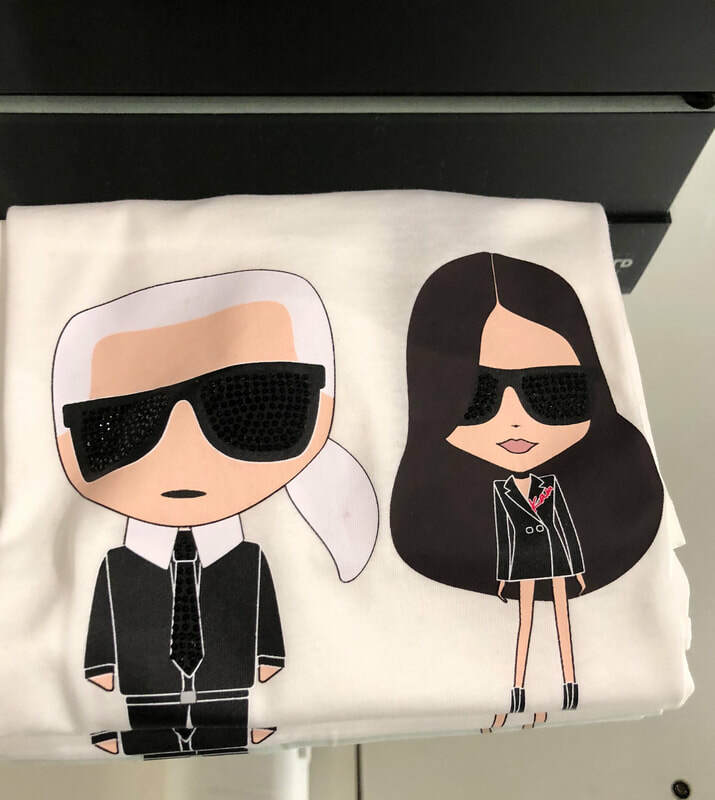 Racks and tables displayed clothing and accessories from the line at Karl Lagerfeld’s Soho pop-up shop, and VIP guests were invited to browse and try some of the items on. The pieces cater to all personalities, whether you usually opt for a leather moto jacket or prefer a pink faux fur coat. While people explored the collection, waiters passed around trays with waters, Sugarfina candies, and branded cookie lollipops! Additionally, there was a photo booth with life-sized Karl and Kaia cartoons to pose with. Attendees were able to email the boomerangs to themselves to share on social media. Even though it was early in the morning, the store somehow knew that guests would have a sweet tooth. To satisfy that, there was a table where 10 Below Ice Cream made live ice cream rolls for attendees to enjoy. Toppings included strawberries, raspberries, oreos, graham crackers, and more! 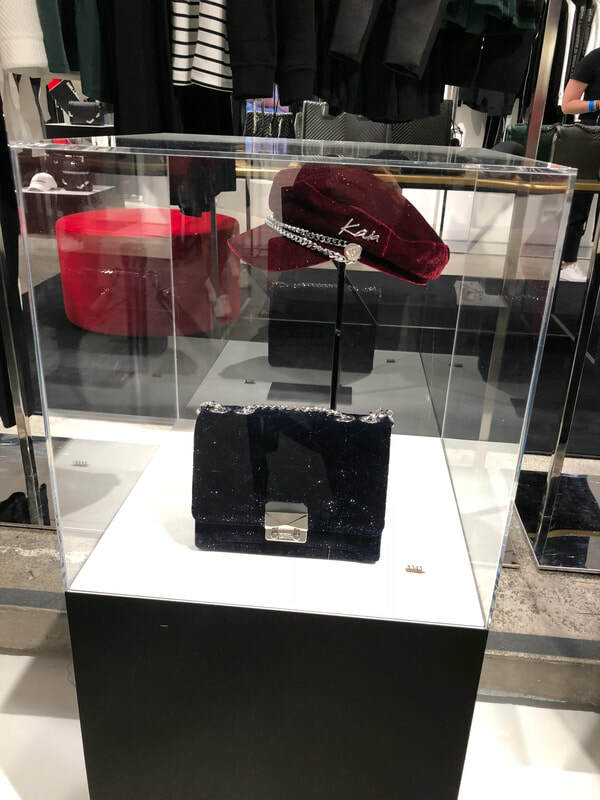 Kaia made a grand entrance after pulling up to the store in a double-decker bus with “#KARLXKAIAXREVOLVE” written across it. The 17-year-old model stunned in the Leather Mix Dress and Graffiti Biker Jacket from her own collection. Once she entered the store, Kaia happily signed posters and took photos with fans who lined up outside the door to meet her.